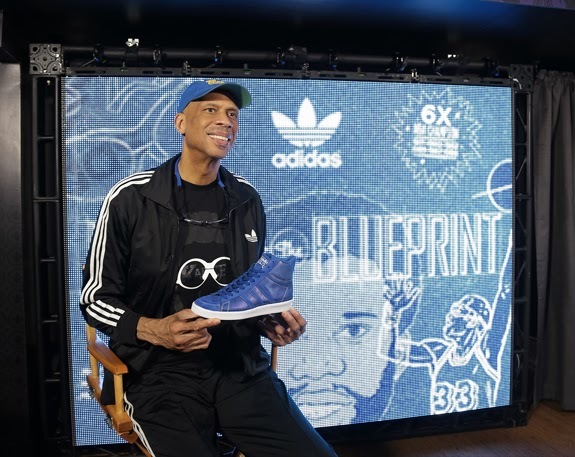 The Athletic Genius: Kareem Abdul Jabbar is "The Blueprint"
Kareem Abdul Jabbar is "The Blueprint"
Kareem Abdul Jabbar showing off "The Blueprint" Jabbar Hi which is crafted out of actual Tyvek® blueprint paper which includes white contrast stitching, laces, and printed graphics. Each player interviewed is printed on the right footbed, each response is printed on the left footbed. Available at adidas Originals retail stores and adidas.com, $100.